Receive the keys to a vehicle that is bound to turn heads, by driving away from Motorparks inside one of our phenomenal new SEAT Ibiza 5DR cars. Choice is one of the most appealing aspects of the SEAT Ibiza range, with the new SEAT Ibiza SC a perfect choice when you want your next set of wheels to boast an eye-catching sporty design. If you are travelling with kids, the new SEAT Ibiza 5DR will prevent any fuss at the start or end of a road trip. Then there is the new SEAT Ibiza ST, which is extremely spacious and yet feels athletic and dynamic when you take it out on the open road. Find your perfect new SEAT Ibiza from our collection below and make an enquiry online now. 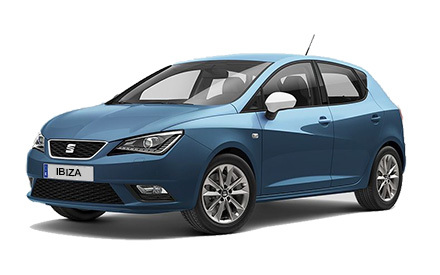 Have you also taken the opportunity to check out our extensive selection of used SEAT Ibiza cars, which includes both classic and modern models at very affordable prices?